Have you ever attended a conference where you were stuck in the same hotel room all day long and seriously considered climbing out of the bathroom window? Or maybe you attended a workshop where you went to a hidden gem for dinner in a tucked-away corner of downtown, and it was the neatest experience of your weekend. 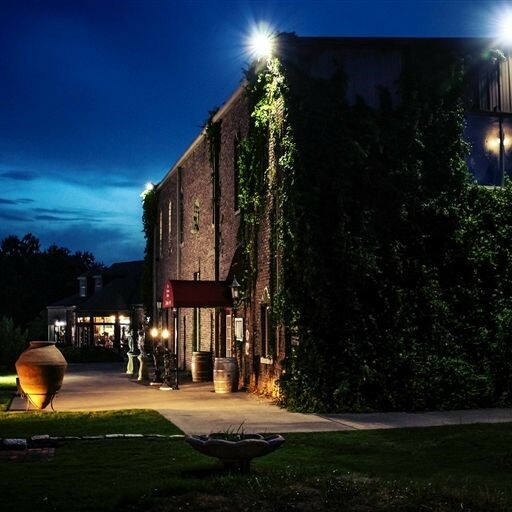 Luckily, Bryan College Station is known for having unique off-site venues that add adventure and excitement to any conference. Check out the list below on awesome places to book your next meeting or conference in Bryan College Station! 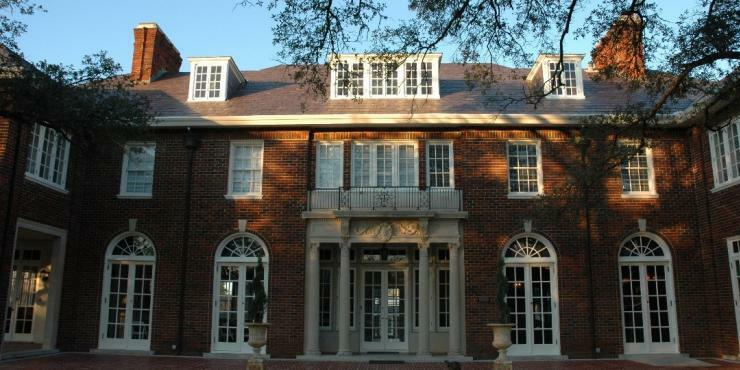 Built in 1924 by Roger Q. and Nina Heard Astin, the Astin Mansion is a paragon of the grand 1920s style. This architectural gem has been listed on the National Register of Historic Places in an effort to preserve and share this treasure with our community for years to come. In 2004, the Astin Mansion was purchased as a Special Events Venue, and has been voted “Best Wedding Venue” by The Knot Magazine, won countless floral awards, and received many recommendations from past brides, companies, and organizations. Astin Mansion’s main mission is to provide impeccable service, quality products, cutting-edge design, and a relaxed environment. They also strive to give back to the community by assisting local nonprofit organizations. 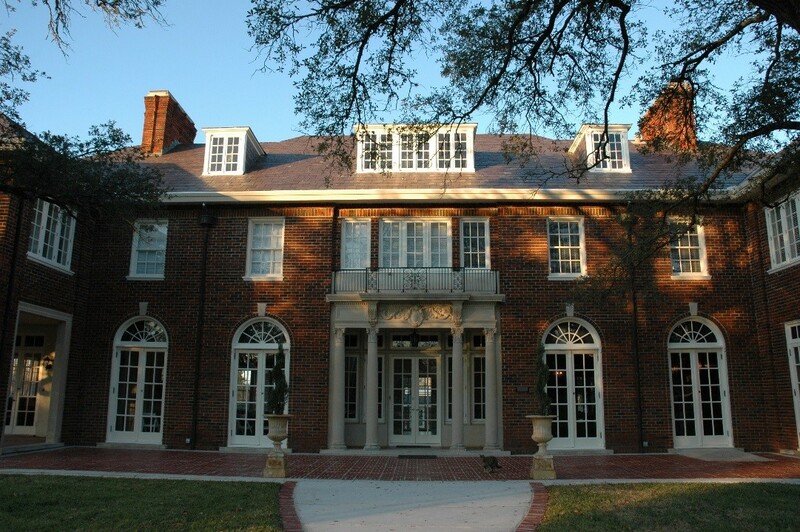 Astin Mansion is located just three blocks from Historic Downtown Bryan, so it is the perfect place for an off-site event! Whether you’re looking for a change of scenery for a meeting or you’d like to plan an elegant dinner, Astin Mansion is the place to go. Opening in 2007, Grand Station was created based on the owner’s dream to expand upon the sport of bowling. By bringing it together with other adventurous activities that are both fun and healthy for people of all ages, it has become a destination where the whole community comes together to enjoy the good company of their friends and family in a safe, clean, exciting environment. 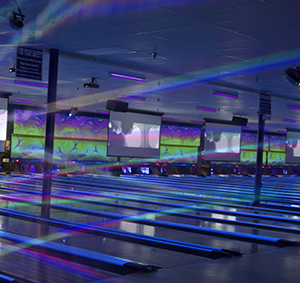 With 40 lanes of bowling, a two-story laser tag arena (the biggest LASERTRON, laser tag arena in all of Texas! ), arcade games, mini-golf, great food, a sports bar, and the friendliest staff in town, they’ve really got something for everybody. That’s why they like to call Grand Station “Your One Stop Fun Spot.” So during your next conference or meeting in BCS, take the crew out to Grand Station for a night of fun! One of the most unique event venues in Bryan College Station is easily the Benjamin Knox facility. Benjamin Knox, an American Artist and Texas Aggie class of 1990, invites guests to enjoy a variety of art set amid a venue inspired by railroad architecture. Included on the premises is a rare historic 1905 caboose and spacious wood decks with vintage style lighting. 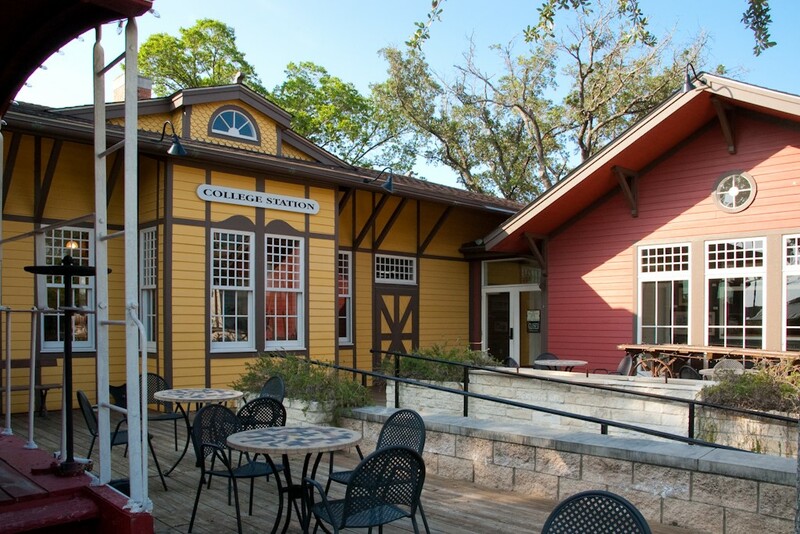 The Depot, a newly renovated College Station Depot, is now a large open art gallery space that can accommodate 120 people for a sit-down meal and 200 people for a standing reception. The beautiful Wine Depot Bar, complete with railroad antiques and large flat-screen TVs, is in the glassed-in porch of the depot and can be separated by giant pocket doors. Their excellent wine menu boasts over 50 handpicked wines and beers for you to choose from with special event pricing for cash bar capabilities. The intimate and private Event Room is a separate art gallery space that features a historic antique hotel bar, stone fireplace, club sound system, TVs, and full media capabilities. The Caterer’s Kitchen and Buffet Room offers an extensive list of preferred professional caterers to accommodate your event from hors d’oeuvres to steak dinners. Benjamin Knox has a full private kitchen that can serve both the Depot and the Event Room. Adjacent to the kitchen is the buffet room, which is a separate gallery space. Coulter Airfield is conveniently located near Texas A&M’s football stadium, Kyle Field, which is located approximately 10 miles southwest of Bryan. Whether you’re in town for a conference or for a one-day meeting, book Coulter Airfield for a unique off-site experience! The event room at Coulter Airfield can accommodate up to twenty people, and is used for conferences, film festivals, annual balls, and much more. Amenities include free Wi-Fi, full and self-service Jet-A and 100LL aviation fuel, a conference room, flight planning with computer access, hangar rental/hangar development, a pilot’s lounge and a courtesy bar. In order to rent a hangar for a large event, contact James Brown at Coulter Airfield. The hangar fits approximately 800 people inside, and with the outdoor area being open, can fit over 1000. It is safe to say it’s very difficult to find an event venue as unique as Coulter Airfield. So liven things up and contact Coulter to book your next off-site event spot! Messina Hof is a family-owned business based on the three cornerstones of family, tradition and romance, and is dedicated to produce a gold medal winning wine in every varietal and to maximize opportunities developed from the wines in a tourism destination focused on the best in hospitality, food and customer service. Located in Bryan, TX, Messina Hof sprawls out over 100 acres. It has both indoor and outdoor event venue spaces, a four-diamond-rated Villa Bed and Breakfast, cuisine served in The Vintage House Restaurant, daily wine tours, wine tasting and wine by the glass/bottle at the Wine Bar/Retail Guest Center, vineyard gardens, a lake waterfall and gazebo. Messina Hof has an efficient and motivated sales team who represent the face of Messina Hof Winery & Resort. The event staff brings a wealth of knowledge and experience to their customers through attention to detail, professionalism and sincerity while striving to exceed customers’ expectations. With an emphasis on Messina Hof events, weddings, social and private gatherings, they make special occasions memorable under the Messina Hof name. The Brazos Cotton Exchange was built in Downtown Bryan in 1904 as the Howell Wholesale Grocers Building by a prominent local banker and businessman. The first floor housed the grocery business and the second and third floors contained professional offices and the Brazos Cotton Exchange. The upper floors were closed to the public in the 1960s, preserving them in their original and un-modernized state. From the 1960s until the early ’80s, Stacy’s Furniture was located on the first floor. In 2005, Anderson Schaefer purchased the building and restored the second and third floor office suites to their original grandeur, adding a modern elevator and air conditioning to the building for the first time in its 100-year history. Papa Perez Mexican Cuisine occupies the first floor and the original Brazos Cotton Exchange space became the Ballroom, retaining its historic title and returning life to the prominent downtown landmark. The Cotton Exchange houses weddings, rehearsal dinners, civic/business events, seminars/conferences, receptions, retreats and social events. 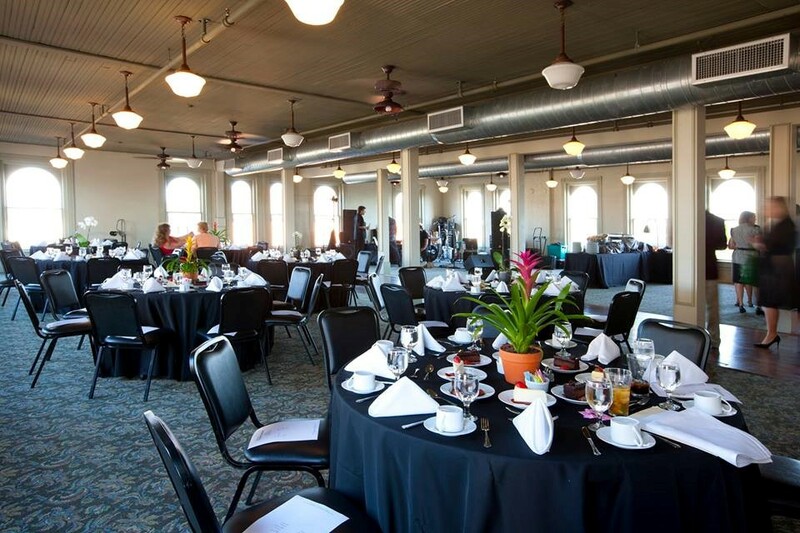 Its features include a third floor ballroom that has three-sided picturesque views of downtown and the Bryan skyline, original hardwood floors for dancing, caterers kitchen, adjacent to the Historic LaSalle Hotel and carriage rides. Be sure to keep Cotton Exchange in mind when planning out your next BCS conference or meeting! 7F Lodge is a wonderful setting for business meetings, retreats, company outings, private parties, and receptions. Hidden amidst 14 acres of live oaks and yaupon thickets, 7F Lodge offers a welcome change from the everyday meeting room at a typical conference center or hotel. With indoor and outdoor event vicinities, 7F Lodge is the perfect place for a day excursion. 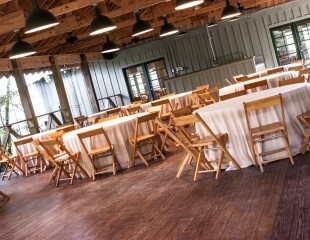 The pavilion located on the property is a great place to bring a group together for a retreat or meeting space. The Old Brazos Biscuit Company, purveyors of fine cuisine and western entertainment, can provide Chuck Wagon Catering with a taste of Texas History for selected events. Additionally, the 7F Chapel is a beautiful place to sit outside for some fresh air during a conference. Even if it’s just for a day, be sure to contact 7F Chapel to find out about all of the beautiful amenities they can offer you and your organization. Shake things up, and make your next event in Bryan College Station one everyone will remember for a lifetime! With so many new venues and hotel properties popping up everyday BCS will most definitely have that unique touch you’re looking for. As always, check out our website or contact our staff for a list of all of the great event venues in our area and more contact information for the ones listed above.